Pretty rainbow ball gown Close up of all the colors. Love it! 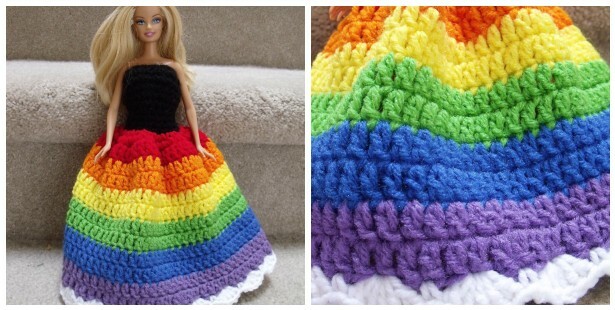 So now Barbie is set for any future rainbow ball. I like the scalloped "cloud" edge around the bottom of the dress. Rainbows rock, good idea girls! I did two layers each of DC rows, and each time I started a new row, I tried to build it slightly behind the first row. This left the top layer in tact, as I was hoping this would give it a three dimensional ruffle layered look. 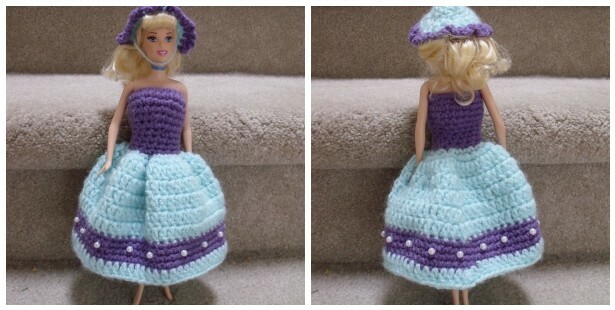 All in all, I think Barbie has never looked so classy! 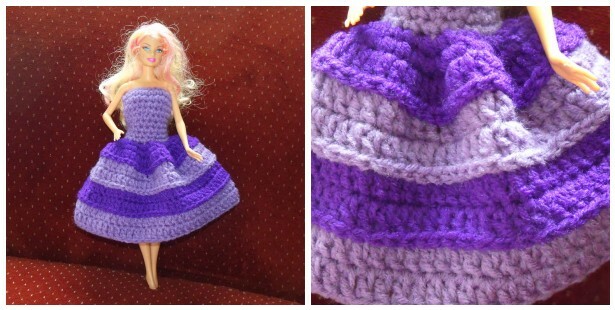 Jenn, I used to have all sorts of crocheted barbie outfits that my late aunt had made. This brings back so many memories! Great dresses!